This Thursday (17 September) Naomi Games, daughter of designer Abram Games (1914-1996), will be joining us to talk about her father’s stamp designs, his working process and show progressive sketches from his archive. Here she gives us some background on her father and a taste of what to expect. Abram Games is best known for his posters. 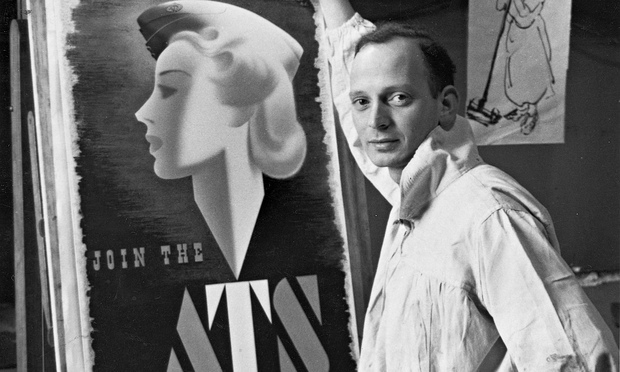 He was the official war poster artist during WW2, and during his sixty year career he designed three hundred posters, notably for London Transport, Guinness, the Financial Times and BOAC. He also designed the first animated ident for BBC television, the covers of Penguin Books, and the emblems for the Festival of Britain and the Queen’s Award to Industry. 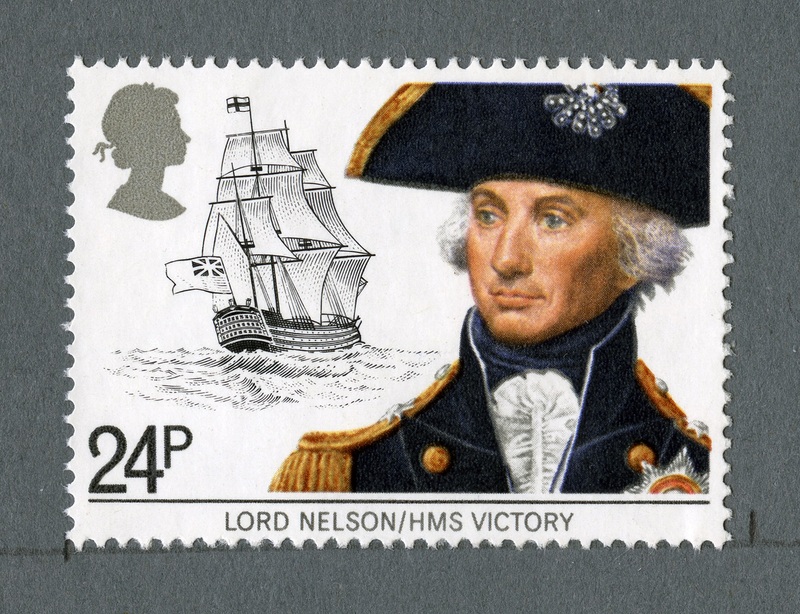 Less is known of his numerous award-winning stamp designs for Britain, Jersey and Israel. In 2014, his centenary year, he was included in the ‘Remarkable Lives’ issue. 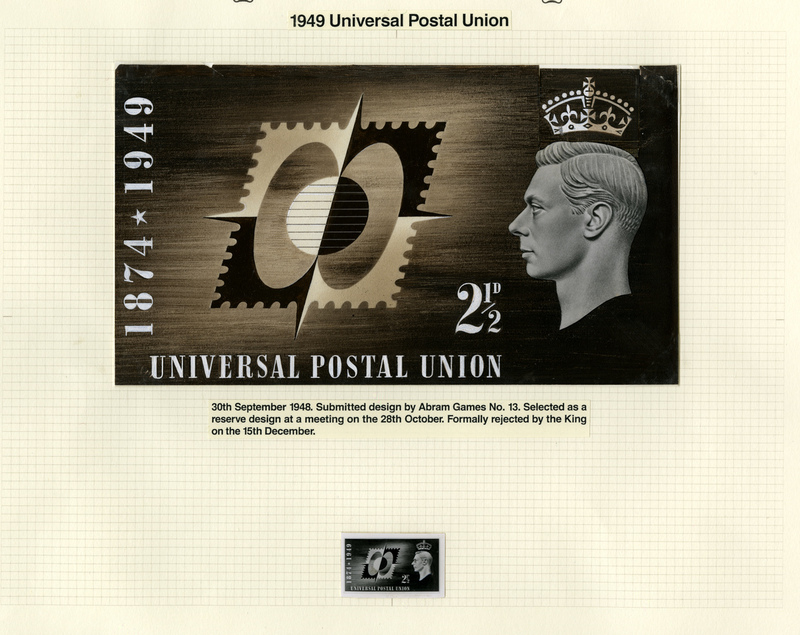 Royal Mail also issued a special Abram Games postmark to celebrate his 100th birthday. Always an obsessive letter writer, he would have been delighted! 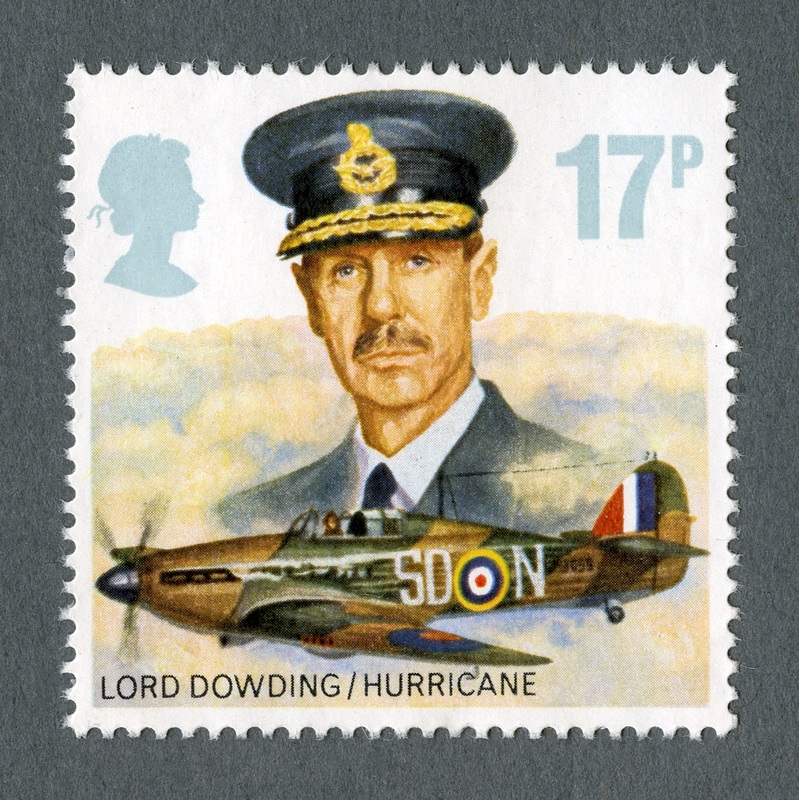 His first published stamp was for the 1948 Olympic Games and he was nicknamed ‘Olympic Games’ thereafter. 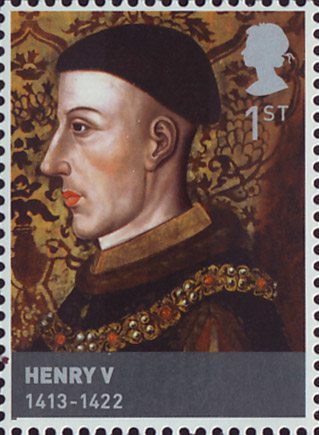 He boasted that he was the only artist to have his name on a British stamp, as designers were not allowed to sign their work. 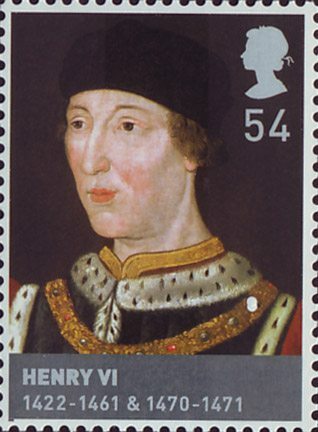 After winning the competition to design the Festival of Britain symbol, he also won the stamp competition and his ubiquitous Britannia appeared alongside side the head of King George V1. His involvement in the Festival of Britain was a great boost to his career and he continued to secure many prestigious commissions throughout his life. Games was a self-taught designer. His only formal training was two terms at St Martin’s College of Art but he continued to study life drawing and anatomy. He believed drawing would be the key to becoming a successful designer. He faithfully followed his axiom ‘maximum meaning, minimum means’, always keeping all his designs as simple as possible. When creating a poster or stamp, he filled a layout pad with several ideas. He wasted no time covering large areas and avoided detail. Once he had selected his thumbnail design, he circled it with red pencil. He said, ‘I never work large because posters, seen from a distance are small. 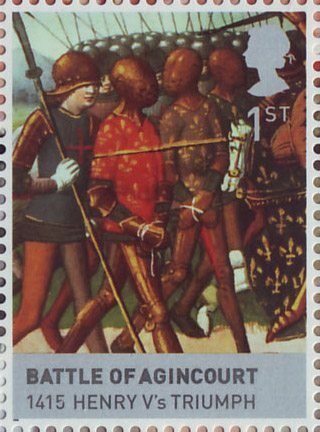 If ideas don’t work an inch high, they will never work.’ Thus the design of stamps – his ‘miniature posters’ – was second nature to him. The event will take place on Thursday 17 September 18.30-19.30 at The Phoenix Centre, Phoenix Place, London, WC1X 0DL. To book tickets please visit abramgames.eventbrite.co.uk or telephone 020 7239 2570. 75 years ago today, at 11.15am Britain declared war on Germany following its invasion of Poland two days earlier. In the year of the centenary of the beginning of the First World War it is important to remember not just the sacrifices made in that war, the “war to end all wars”, but also those that followed. ‘Searching for the enemy.’ 20th City of London (3rd GPO) Battalion Home Guard or The Post Office Home Guard. 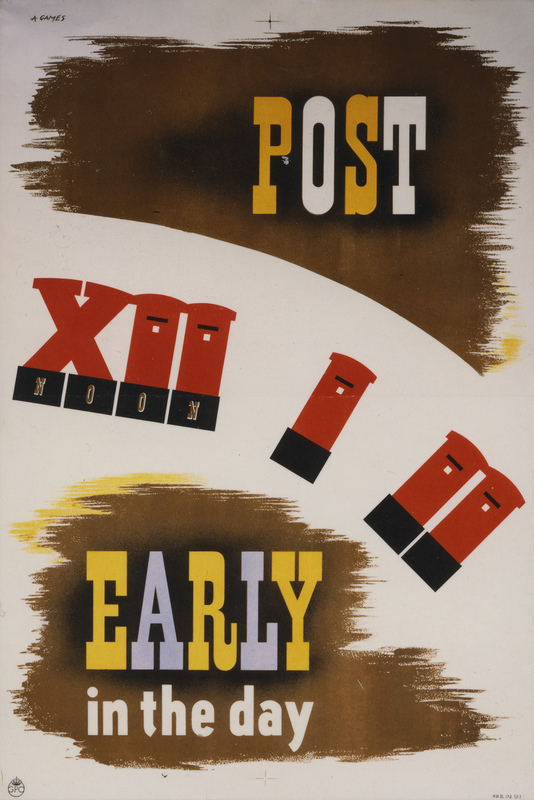 During the Second World War the General Post Office (GPO) not only released men to fight on the front lines, but as in the First played a vital and wide reaching role at home. Within days of the war breaking out, as men left their jobs to go and fight, women once again began taking on the vacant positions. Many more women were already employed by the GPO at the outbreak of the Second World War than the First but there was still an increase of approximately 78,000 during the course of the conflict. Not only were more women employed by the GPO, they were also given opportunities to take on jobs previously unavailable to them, such as working as an engineer or driving a post van. Women were even allowed to join the Post Office Home Guard, receiving much praise for the work that they did. 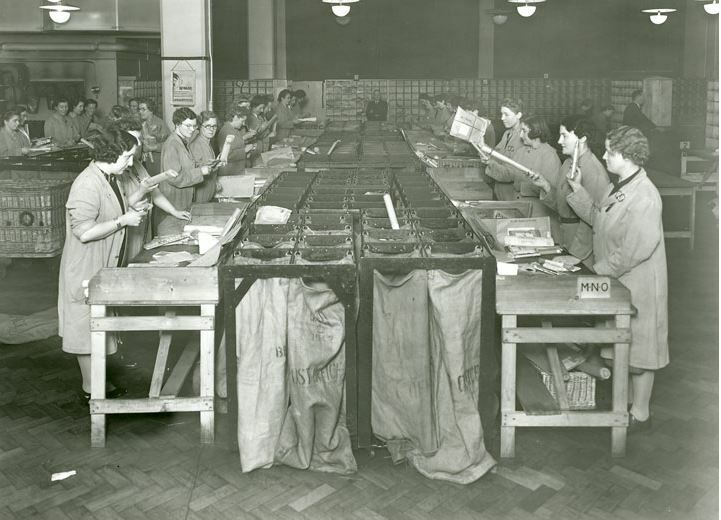 Women sorting the mail during the Second World War. Not all male GPO staff left to fight on the front lines, for various reasons there were many who were left behind either because of unsuitability for service due to age or injury or because their skills were necessary on the Home Front to keep the war effort going. Perhaps two of the most notable and interesting of these stories belong to Tommy Flowers and Frederick Gurr. 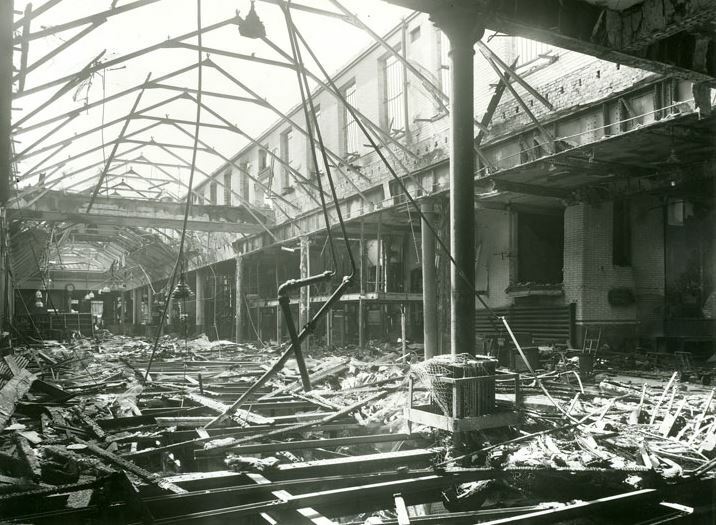 Serious bomb damage at Mount Pleasant during the Second World War. Flowers was an experienced telephone engineer who had been responsible for helping to improve the telephone systems before the war. During the war he was working at the Post Office Research station in London, Dollis Hill. It was while he was here he was invited to Bletchley Park to assist with the code breaking work that was occurring there. During his time at Bletchley Park, Flowers worked on the team that cracked the Enigma code and also created Colossus, the world’s first programmable electronic computer, which enabled Britain to crack the code of the German High Command. Gurr’s story is equally impressive. A postman on the verge of retirement when the war broke out Gurr took it upon himself to create the GPO Rescue and Salvage Squad. 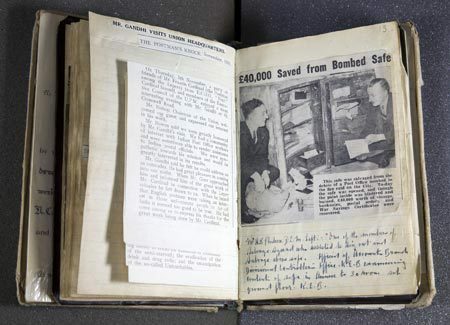 He was concerned that the ordinary salvage squads didn’t recognise the importance of the mail and, as such, his own squad would rescue not only valuables from bombed out Post Offices but also supplies and the mail itself, ensuring that the Post Office could prevent mail being delayed more than 48 hours due to enemy action. 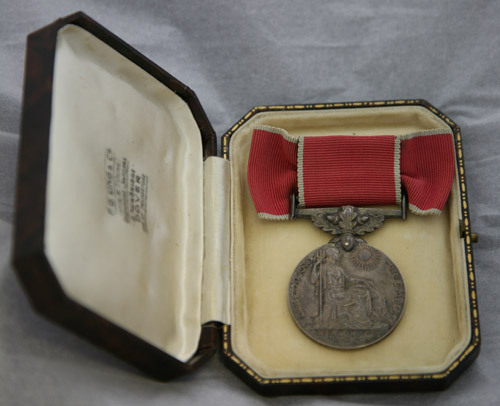 For his services Gurr was awarded the British Empire Medal by King George VI. These stories show not just the bravery and commitment of individuals but also how great the Post Office’s contribution was. 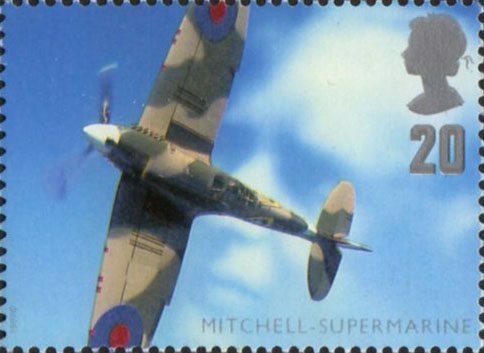 It is commonly known that the Post Office remained dedicated to ensuring delivery of mail but it’s these surprising and often under-told human stories that really shaped the Post Office in the Second World War. It’s these stories and many more that we intend to bring to light in The Postal Museum revealing Britain’s social, communications and design history. 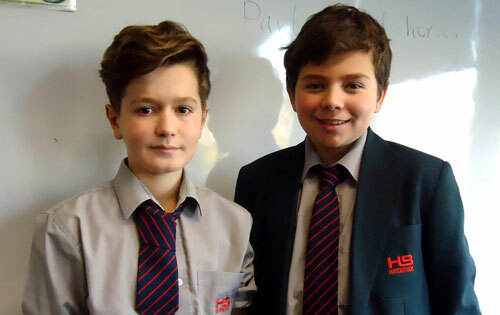 Meet our latest guest bloggers Aldis and Max. Two more ‘Communicating Conflict’ Arts Award students from Haverstock School. 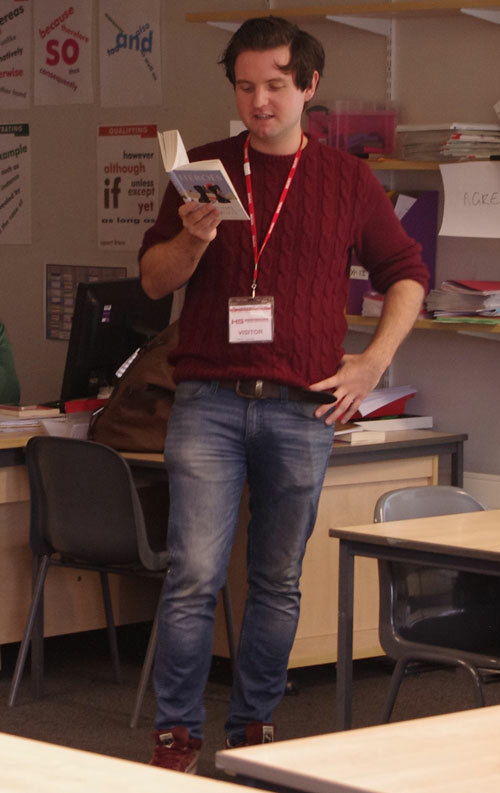 Last week, the students were visited by Danny Martin, a former soldier and war poet, who now works as an English teacher. Danny’s life is one of the most inspiring anyone could ever hear about. It really made us think about the life of a soldier during war and the hardships that they face. Death and injury haunt them every day. Danny’s inspiration for becoming a soldier was when he was around the same age as us when he joined the army cadets. Danny first started writing poetry after leaving the army whilst studying for a Creative Writing degree in Liverpool. His poems were published in a book of contemporary war poetry called Heroes. Danny’s poem expresses war differently to what we believe it is like. It really made us think about our lives and how we could change them for the better. Danny describes the commodities of war as pain and suffering instead of being a hero and a patriot. We learnt the true side of the story, the kind of thing that we don’t hear on the TV. We learnt the consequences of joining the army. We also learnt that all soldiers have their own different stories of army life however others think they all are the same. 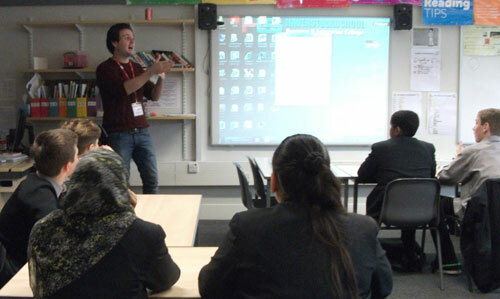 A huge thank you to Danny for visiting Haverstock School. Look out for more from our guest bloggers as they continue to work with project poet Joelle Taylor to develop their own poems in response to the First World War stories in the BPMA collection. Meet guest bloggers Samiah and Shaima. Two of our Communicating Conflict Arts Award students from Haverstock School. 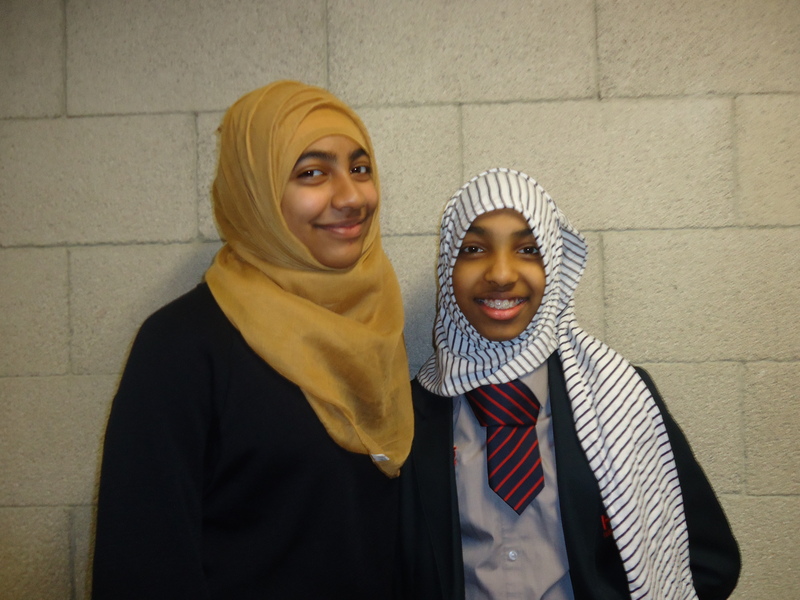 Meet Samiah and Shaima – two students from Haverstock School. The Arts Award students recently participated in two workshops with Big Wheel Theatre Company. Here’s what Samiah and Shaima had to say about their experiences. We are extremely lucky to be taking part in this Arts Award. Last week we were very fortunate to take part in a theatre workshop called ‘Meaning in the Mud’ about poems that were written during the First World War. Arts Award students with Roland and George from the Big Wheel Theatre Company. After the poetry workshop, Roland and George visited us in class to develop our knowledge of the Post Office Rifles. We learnt about three soldiers named Sergeant Alfred Knight, Captain Home Peel and Rifleman Harry Brown. We looked at letters that were sent to Harry Brown’s mother. Students discover the story of Post Office Rifle, Harry Brown. Harry Brown was a Rifleman who was involved in a fierce, bloody, brutal battle at Nieuport Les Bains. When his mother asked to know what happened to her son she received a letter from the Red Cross stating they did not know the whereabouts of her dear son. We later found out, after reading another letter, that he was captured and taken to a prisoner of war camp. This letter was the last letter she ever received from her son. He died at the prisoner of war camp from “inflammation of the lungs”. 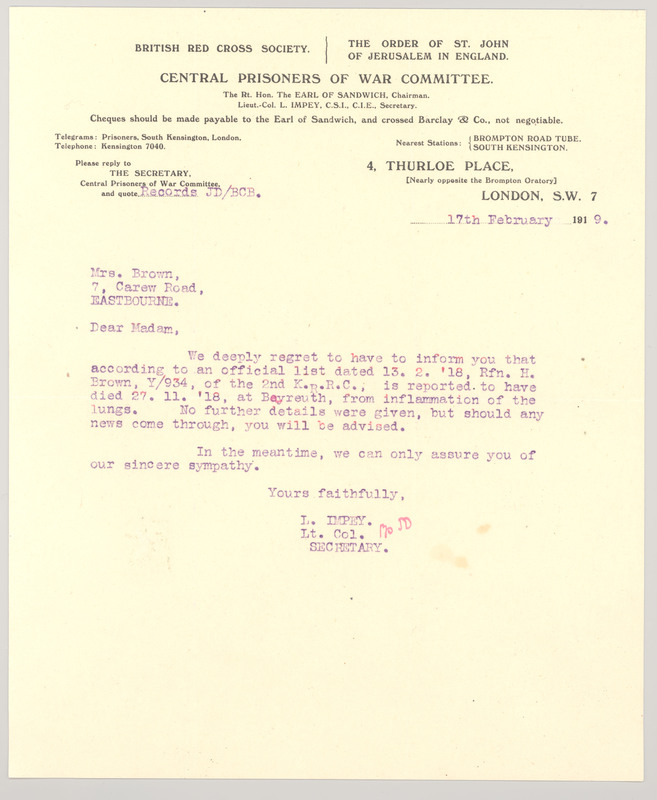 Original letter from the Central Prisoners of War Committee to Harry Brown’s mother. Roland spoke to us in character about the battlefield and all the tactics used during this horrendous time. We were told about the battle of Wurst Farm Ridge. In this battle we learnt that Post Office Rifle Sergeant Alfred Knight was awarded the Victoria Cross for his leadership and bravery. 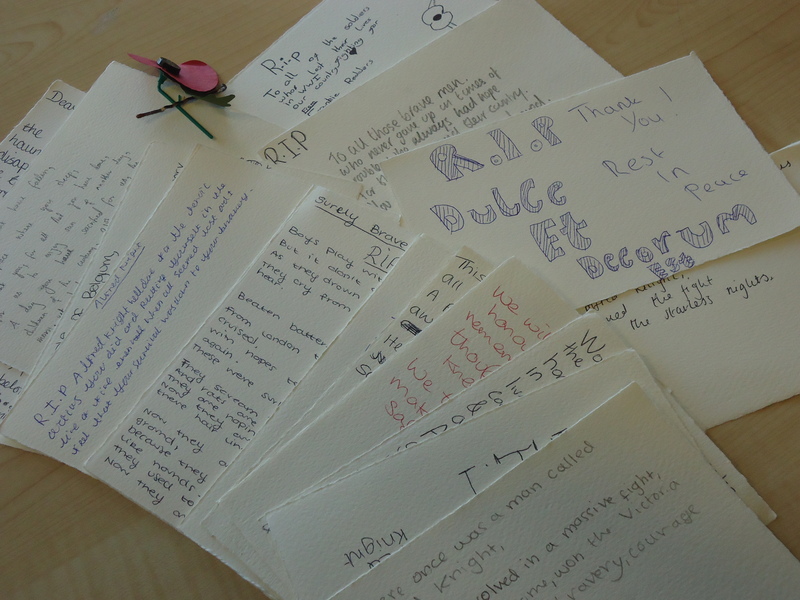 We wrote messages of remembrance for the Post Office Rifles. 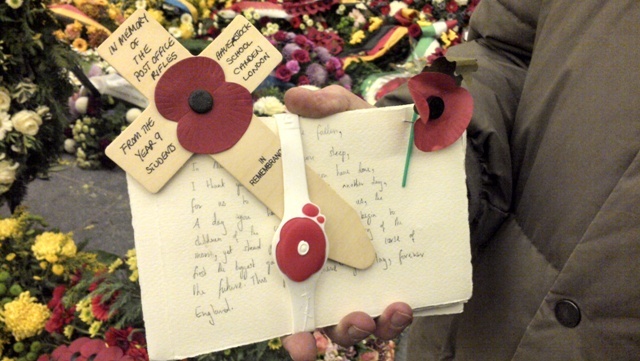 Roland and George from Big Wheel Theatre Company took these messages to Ypres and left them at the Post Office Rifles memorial. They are performing their Meaning in the Mud workshop in Belgian schools. Thanks to Samiah and Shaima for this fantastic blog. Keep an eye out for more from our Haverstock School Arts Award students as the project progresses. The Post Office has always played a key role in keeping people in touch with their loved ones. During times of conflict this role is especially apparent. Alongside the personal correspondence carried by the mail service there is also a wealth of official correspondence enabling the smooth operation of government in times of crisis. 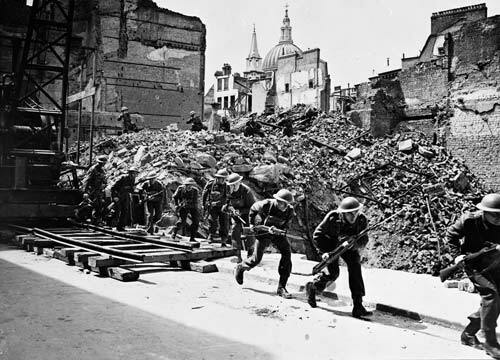 20th City of London (3rd GPO) Battalion Home Guard during an ‘Invasion’ exercise on 29th June 1941. The Post Office has kept communications going during World War One, World War Two, the Falklands war, Iraq and Afghanistan. It has also played a key role during civilian disturbances such as the 1916 Easter Rising in Dublin. 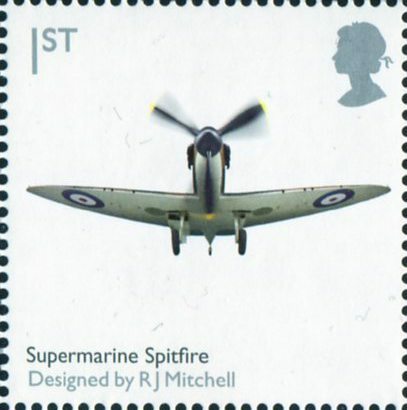 On Thursday 14 November 2013 the British Postal Museum & Archive will be exploring the role of the Post Office in conflict through a series of activities. Throughout the day there will be a display of archive and museum items relating to the Post Office in conflict. Members of staff will be on hand to discuss these items and can also direct visitors to further relevant material in the collections. At 4.30pm there will be an opportunity to explore Behind the Scenes. This Archivist led tour will take in some of the highlights of the archive collection. A highlight of the day will be the opportunity to bring along your own correspondence to be scanned by a member of staff. Between 4.00pm and 6.30pm we will be scanning correspondence relating to all aspects of conflict (war and civil disturbance). The original items will remain your property and will be handled with the utmost care by our trained staff. You will also receive a copy of the scanned image for your records. This is a fantastic opportunity to make use our high quality equipment and receive digital images to share with your family. The scanned images we collect will also be considered for use in future exhibitions in our New Centre. To round the day off there is an evening lecture by Sian Price entitled ‘If you’re reading this: last letters from the front line’ at 7pm. The day forms part of the Explore Your Archive campaign. It offers an easy introduction to some of the diverse resources available in our archive. We hope this will inspire you to further explore archives and to discover more about subjects of interest to you. Daytime activities (including the scanning event) are free, drop in events. There will be a limited number of places available on the archive tour, you will be able to sign up for these on the day. Tickets for the evening lecture are priced at £3.00 per person (£2.50 for concessions), complimentary tickets will be provided to those bringing along items to be scanned. Tickets can be booked in advance here. Full details of the day’s activities can be found at our website. Head Postmaster of Dover AWB Mowbray kept a typed account of the Blitz years in what became known as ‘Hell’s Corner’, recounted here by BPMA Curator Vyki Sparkes. Mowbray wrote with pride when a member of his staff, Miss W N Scanlan, was awarded the British Empire Medal in October 1941. This was announced in the London Gazette alongside a notice that the same award was awarded to two other female supervisors in charge of Post Office telephone exchanges. These three Supervisors of Women Telephone Operators have, by their courage and devotion to duty, set a fine example to their staffs. Throughout the air raids in the areas where they work, they have maintained an efficient telephone service during periods of constant danger. According to the General Post Office press release, eight other female supervisors and telephonists had previously received awards and commendations. Over 100,000 women had been employed by the GPO by November 1941 – more than one-third of the total staff. Due to the shortage of manpower, women worked a range of duties including some previously considered ‘male’ occupations – such as telephone engineers and the first ever female motorised van driver. … the kaleidoscopic effect of the multi-coloured jumpers and overalls of the women temporary sorters who fluttered about like so many butterflies was unmarred even by 2½ hours of shelling in one evening…they came to do a job and they did it regardless of the large quantity of roof glass. Additionally, one-third of the Sub Post Offices in the country were controlled by women. It is clear that without them, the vital communication networks cared for by the Post Office could not have been maintained. In addition to these examples there are many other notable tales of bravery by postal staff during the Blitz. 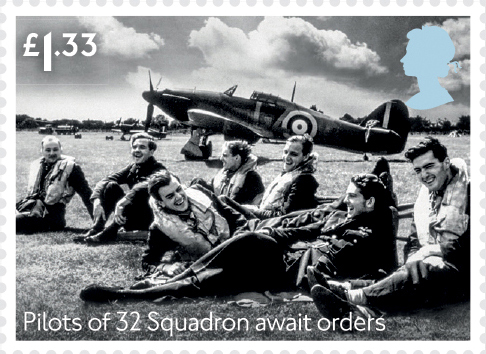 A total of 27 post office staff died on duty in 1941. By the end of that year, over 100 men and women had received commendations and awards from the King, while on Civil Defence or Post Office Duty. These ranged from 38 British Empire Medals to eight George Medals. Mowbray himself was to be included in the New Years Honours list in 1942, as a Member of the Order of the British Empire. 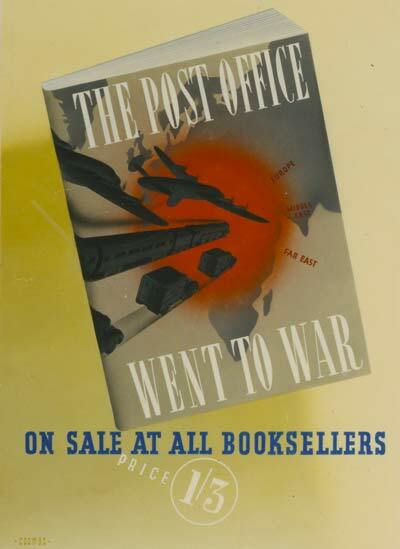 In 1941, 117 staff were also commended by the Postmaster General for their work on the home front. For every Post Office worker who won an award, there were countless others behind them who received no official recognition. Miss Scanlan announced the award to her staff by flourishing the letter and saying ‘Girls we’ve got the British Empire Medal’. And, as Mowbray himself readily acknowledges, it was the co-operation of the police, fire, transport and military services, and the cheeriness of the population that helped his staff cope with the strain of war. We do not like the phrase “We can take it”. It would be more honest to say “It’s forced on us”, but the Dover people and Dover Post Office staff do their utmost to make the best of decidedly unpleasant circumstances. Vyki Sparkes’ podcast The Post Office and the Blitz can be downloaded for free from the BPMA website, iTunes or SoundCloud. See Shells Over the White Cliffs and Harder times in Hell’s Corner for more from the AWB Mowbray accounts.